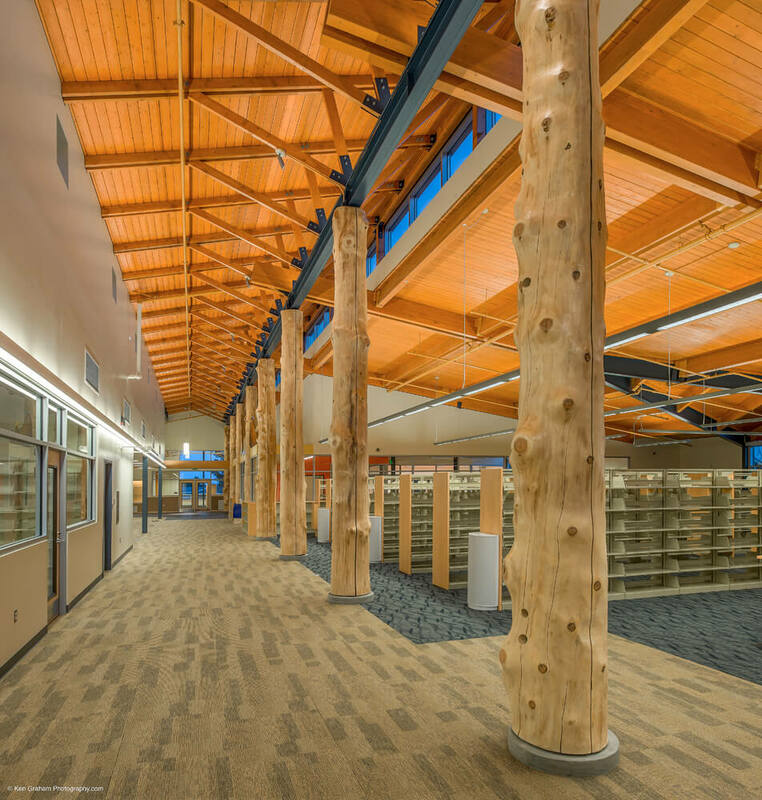 Initial MRV design work for the new Kodiak Public Library was started through the Foraker Pre-Development Program, with substantial involvement in the selection of a new library site. 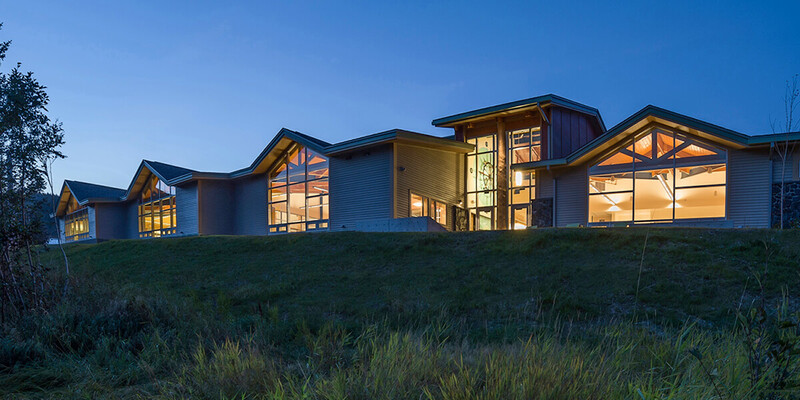 Subsequently, MRV was selected as the project architect to complete design for the library. 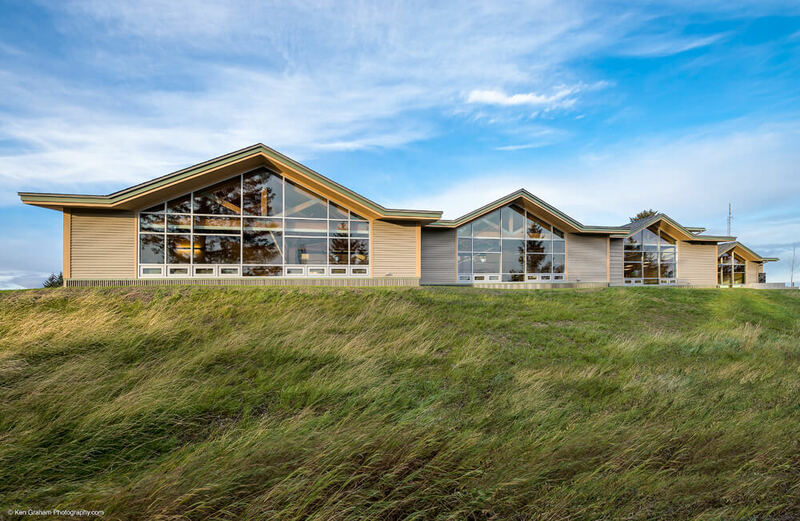 The new library facility occupies 16,000SF on a beautiful hilltop location, with views across the community and to the surrounding harbor and mountains. 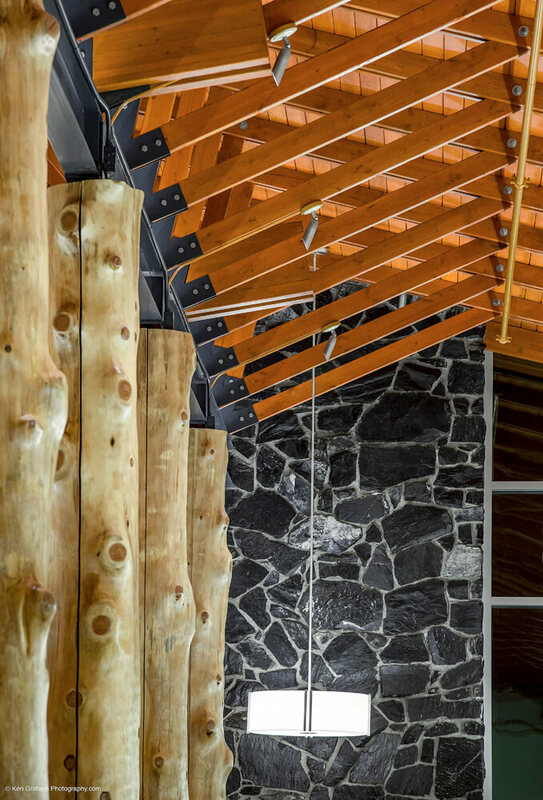 High windows light up the main entry hall, featuring spruce columns harvested from the site, terminating in a public fire place and seating area, faced with local stone. The library design organizes public reading rooms and the Children’s Room off of the main hall with a series of raised roof dormers capitalizing on the south-facing building facade. The entry and support spaces are structured so that the Teen area and meeting rooms are acoustically separated, and can be operated independently when the main library facility is not open, allowing great flexibility for community events and activities.